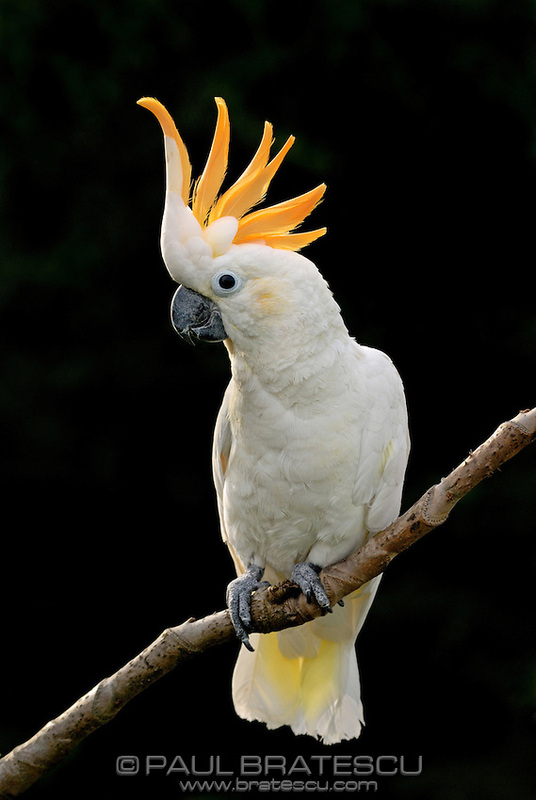 The Citron-crested Cockatoo (Cacatua sulphurea) citrinocristata is a medium-sized cockatoo with an orange crest, dark grey beak, pale orange ear patches, and strong feet and claws. The underside of the larger wing and tail feathers have a pale yellow colour. The eye colour ranges from brown through very dark brown to black. Both sexes are similar. It's status in the wild is Critically Endangered.